Owner was very welcoming and provided info about locals eating establishments that were excellent. She provided fresh apricots from our tree and cookies and cakes. Charming place to stay close enough to town yet peaceful. Best to have a car for the 1 mile trip in. Great for families. View was amazing, with absolutely stunning sunsets, and panorama of the city of Napflion and bay. Pool was kid-friendly, and distance to the city and nearby beaches was within 5-10 minutes driving. Overall the place was exactly as described, and provided a great central location for relaxation, and taking in the history of the Pelopenesse. 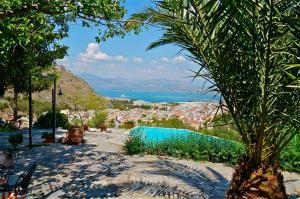 Beautiful location overlooking Nafplion. Very nice and comfortable villa with big terrace and a (shared) pool. 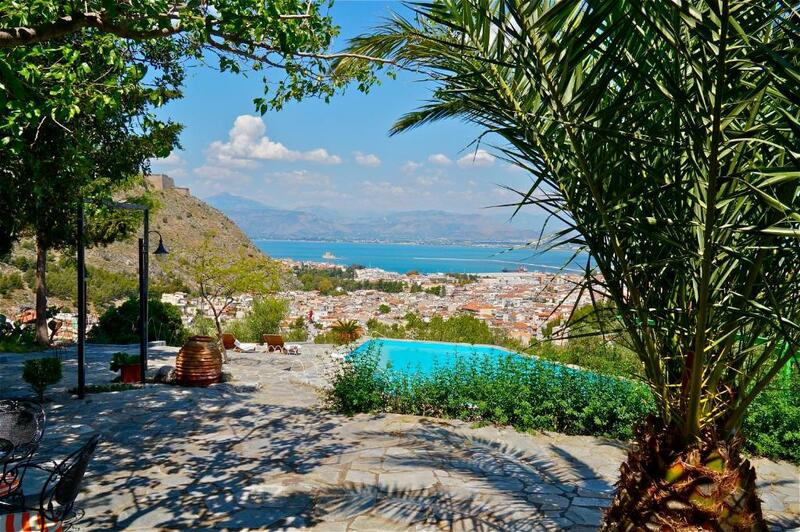 The location is simply magnificent, with a splendid view over both the city of Nafplio, the mountains, the Palamidi fortress and the sea. There are plenty of sitting areas to enjoy the view, both in the sun and in the shade. 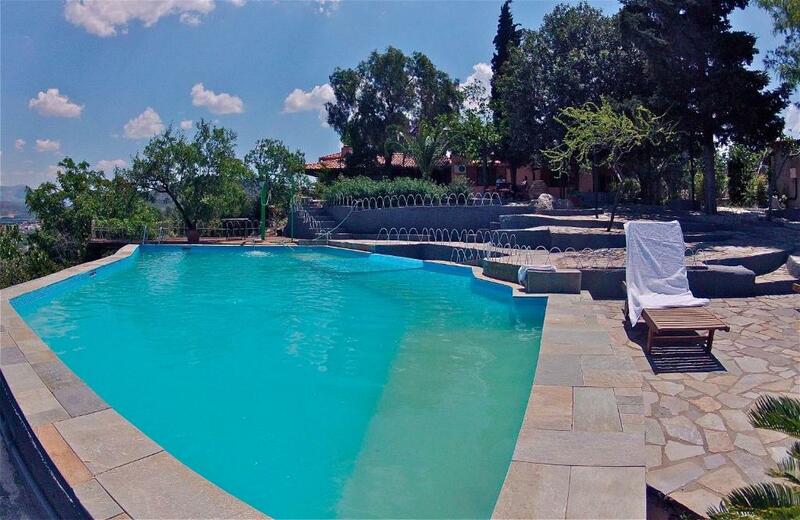 Also the place is kept very clean and tidy, and the pool offers an excellent way to cool down in the summer. On top of that the hosts are extremely friendly and make you feel at home, and give tips on what to see and do in the area. I would highly recommend this place to anyone: it's really a great place to discover the beauty and hospitality of Greece and its people. 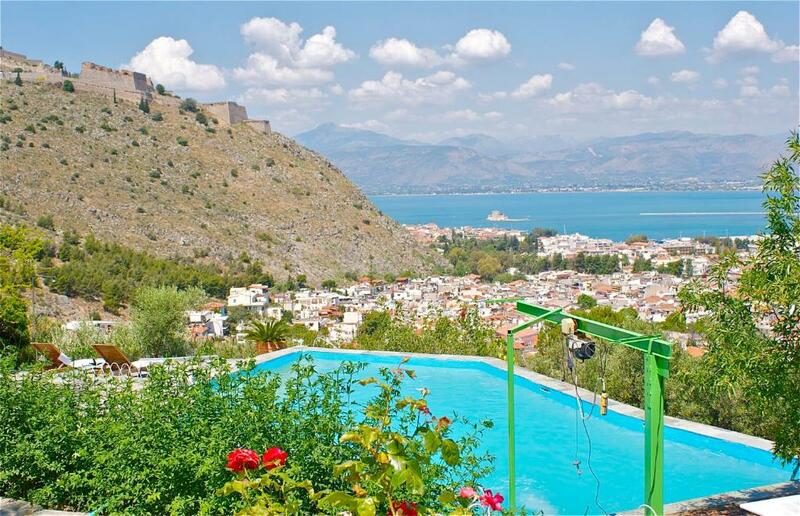 The apartment is a in a great location just out of Nafplio, on a hill with great views of the town, bay and surrounding mountains. It is spacious, with a large terrace and swimming pool. The hosts live on site and are very helpful and friendly. The view, the location and the host were amazing, we really enjoyed our staying and we will definetly suggest this place for some relaxing and fun time! The pool and the view are spectacular. This property is a gem! 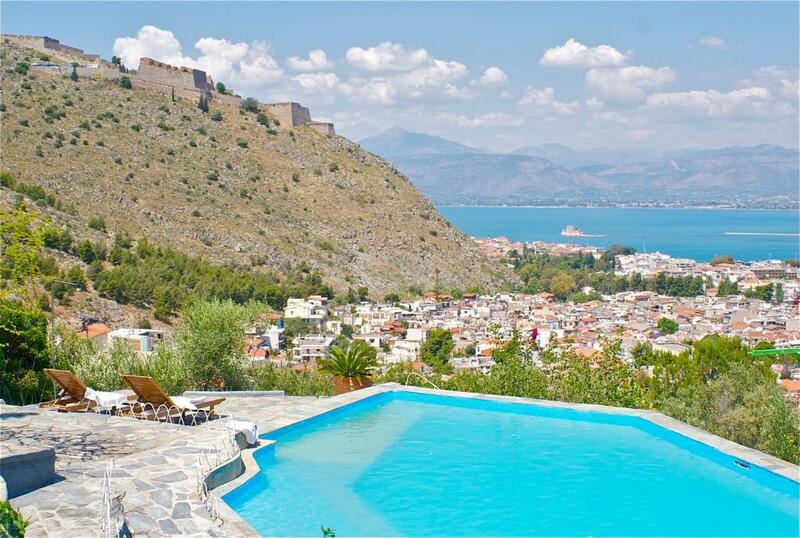 Probably the best location, and in particular view, in Nafplion. Service, and owner's behaviour above expectation. Our host was extremely helpful and also saved us some money by recommending a local taxi driver to take us back to Athens. Great views, lovely pool area. Friendly helpful owners. Lock in a great price for Dafnes Residence – rated 8.7 by recent guests! 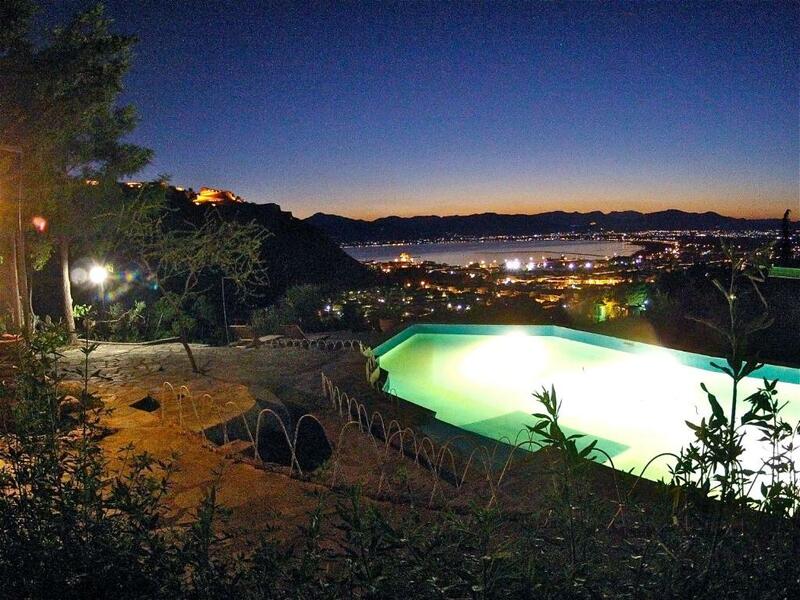 Featuring a shared outdoor pool and sauna, Dafnes Residence offers 2 semi-detached houses located in Nafplio. 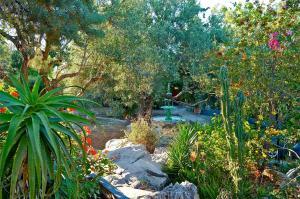 It includes a garden, free WiFi and overlooks the Aegean Sea from its balcony. The castle of Akronafplia is 0.6 mi away. 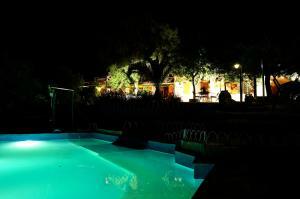 The air-conditioned villa has a seating area with a fireplace, sofas and flat-screen TV. The kitchen is equipped with a stove and microwave. The bathroom comes with a shower. A communal washing machine is also available. 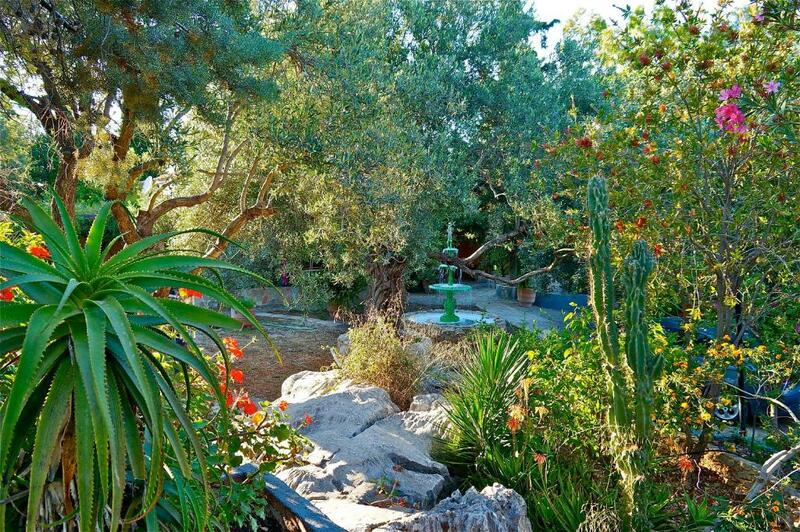 Villa Dafnes is 1.2 mi from Arvanitia Beach, the town center and Palamidi. Mycenae is at 12 mi while Epidavros is at 19 mi. When would you like to stay at Dafnes Residence? 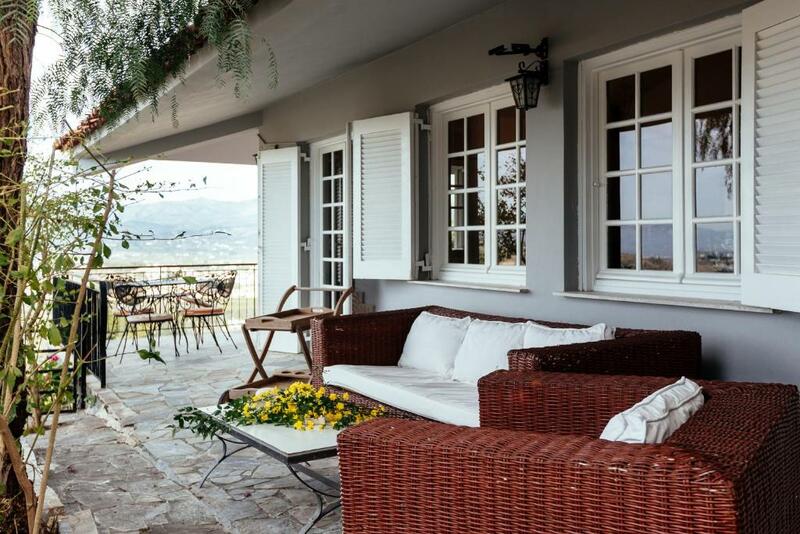 Featuring a shared outdoor pool, sauna and separate entrance, the air-conditioned house includes a garden, free WiFi and overlooks the Aegean Sea from its balcony. It has a seating area with a fireplace, sofas and flat-screen TV. The kitchen is equipped with a stove and washing machine. The bathroom comes with a shower. A communal washing machine is available. Featuring a shared outdoor pool, sauna and separate entrance, the air-conditioned house includes a garden, free WiFi and overlooks the Aegean Sea from its balcony. It has a seating area with sofas and flat-screen TV. The kitchen is equipped with a stove and washing machine and dishwasher. The bathroom comes with a shower. A communal washing machine is available. House Rules Dafnes Residence takes special requests – add in the next step! Dafnes Residence accepts these cards and reserves the right to temporarily hold an amount prior to arrival. Please inform Dafnes Residence of your expected arrival time in advance. You can use the Special Requests box when booking, or contact the property directly using the contact details in your confirmation. Due to the storm the week in advance there were problems with running water in the area. A bit of renovation is necessary! A little dated but very clean and super friendly host. Awesome location with great view of Nafplio. The kitchen was very used up, some dishes were broken and it was rather dirty. It wasn't centrally located and did not have a pool for each room as we were lead to believe from the ads. The room was not amazing, a bit dreary with few windows and across from better real estate. Described as luxury, but in need of maintenance - rusty nail sticking up in one of the doorways (which we covered over to avoid standing on it), wall panel (with plugs in it) falling off in the lounge, tiling unfinished in the bathroom, water in shower unreliable, owners had cut down a tree on our side of the fence so no shade in the heat of the day so why not include a sun umbrella (we couldn't use the ones down by the pool as they were already in use)? We had uniformly great accommodation elsewhere in Greece (even places like Santorini) for lower cost. Disappointed.